4. 4. Signing into the SSO account. 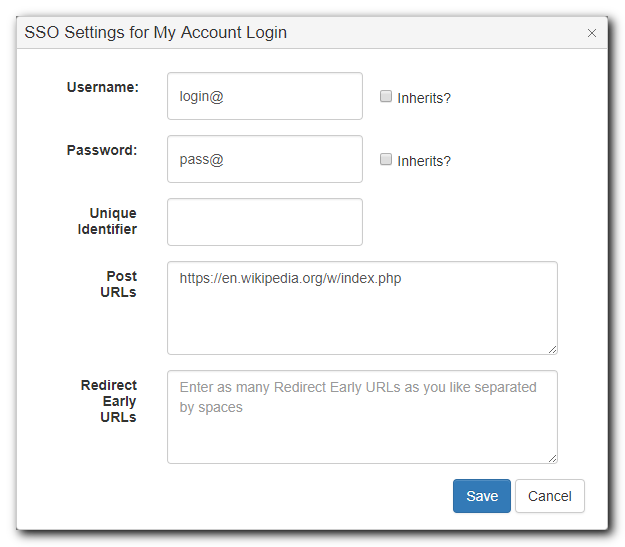 This page guides you through the steps in getting started with the SSO Proxy Server. Please Note: As of Version 7.9.0, HTTPS SSO will become a legacy module, only available to service plans purchased prior to this release. SSO is not compatible with multiple-paged logins, where a username and password are entered on different pages, for example, Gmail. For more advanced options: see Group and Entry Settings. The following instructions include an example using HTTPS SSO to sign into a Wikipedia account. Follow the Client Setup steps for your browser so the proxy settings are used. HTTPS will work with existing or new credentials. For use in the example, a new credential will be entered. Open the Pleasant Password Server website and log in. Click on a folder from the left sidebar of the home page. Click the Folder Actions drop down button and choose Add Entry. In the Credential Details popup, enter the Title, Username, Password for the credential. Press the Save button and a row for the entry should now appear in main grid. For the credential to be used with HTTPS SSO, click on the Actions dropdown and choose SSO. You may keep or change the existing placeholders. 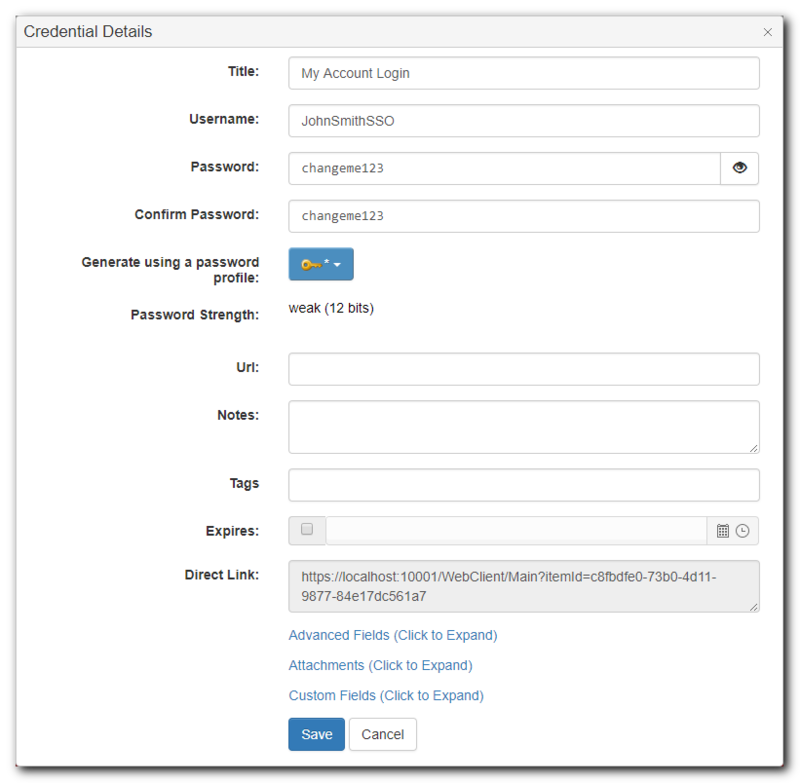 Placeholders can be inherited through the folder hierarchy, allowing the same placeholder to be used for multiple logins. If the placeholders are customized, they should be atyptical values (ie. login@ rather than login). Common values may result in failed login attemps. While SSO obscures the Username on login, the webpage may display it regardless. ie. "Welcome JohnSmithSSO". Redirect Early URLs are a list of URLs (i.e. website addresses), separated by spaces or on separate lines, for which the proxy server should authenticate earlier than usual. This setting is mainly for certain websites on which the proxy login does not work properly even when the Post URLs are specified, and can be left blank for most entries. 4. Signing into the SSO account. Press the Login In button, or equivalent. If your browser is not logged in to Pleasant Password Server you will be redirected to the SSO server login page - to enter your Pleasant Password Server username and password and verify your SSO access. The service will now be logged in to with the placeholder credentials taking the place of the true username and password.